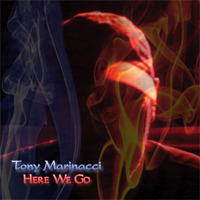 Tony Marinacci has had lyric videos created for "All The Answers", "Can't Take Another Day", "Control" and "Only God" from his Tight But Loose CD as well as "How Low" from his Here We Go CD. They are available on our YouTube page as well as all social media sites. FOX Sports Net will be using Tony's stuff as music bed for some Pittsburgh Penguins highlights. The song "Can't Take Another Day" or "All The Answers" for the Pen's Play Of The Month. So when you see those Penguins highlights keep an ear out to. 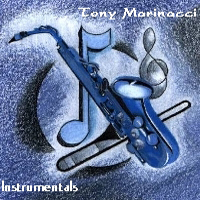 We have posted two live tracks from Tony Marinacci. The tracks Can't Take Another Day (Live) and All The Answers (Unplugged '06) are from a performance on the Pennsylvania Rock Show from Total Music & Entertainment Studio that originally aired on August 8, 2006. We have a new edit of the video for the song "Here We Go". This time we added some scenes of Tony Marinacci. He was only seen in a flash of an old picture in the original version. The video has also been re-optimized to provide better streaming. Click on the thumbnail to play the podcast. Chris Bell interviews Total Music & Entertainment's President and CEO - Tony Marinacci. Tony talks about TME and TME Recordings. Length: 1:06. April 17 2009. Bob Miller guest hosts the Pennsylvania Rock Show from Total Music & Entertainment studio. Live performance and debuts of new songs by Tony Marinacci. Live performance by Nied's Hotel Band. Also, some best moments from previous appearances. Length: 30:44. August 4, 2006. Bob Miller interviews Total Music & Entertainment's President and CEO - Tony Marinacci. Tony talks about what you should do to make an effective demo. Length: 3:44. August 4, 2006. Tony Marinacci Interview - What is TME right now? Bob Miller interviews Total Music & Entertainment's President and CEO - Tony Marinacci. Tony talks about the changes at TME and it's near future. Length: 3:10. August 4, 2006. "An exciting mix of Rock, Pop and Metal by a truly brilliant American songwriter. Each song gives the listener a different sonic experience and takes them through a lyrical journey. Each song tells it's own story." 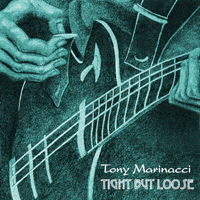 "Tony Marinacci 's "Tight But Loose" isn't just a 'rock' cd. Tony does a great job of covering the rock genre from the sweet sounds of Phyllis Wellons to the screaming of vocalists Fred Young and Tommy Horner, the raw energy filled vocals of Adam Rossi and Terry McCausland (Terry Lee Spencer), and of course the amazing range of Brian Shaffer. And it doesn't end with the vocalist, this EP is a conglomeration of all things great about the Alle-Kiski Music Scene and South Western Pennsylvania including vocalist and musicians from many of the areas biggest unsigned bands. All of this raw talent is culminated by the amazing writing, production, and direction of Tony Marinacci. This project is just as much about Tony's abilities as it is about local unsigned musicians who do it for the love of the music, and for that I applaud him." 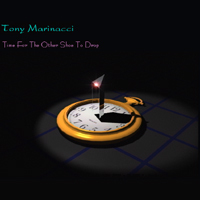 "Listening to Tony Marinacci 's "Tight But Loose" album reminded me that not only is Tony's song righting superb, but he also has an uncanny ability to pair up his songs with great vocalist!" Tony's only playing a few shows a year right now. 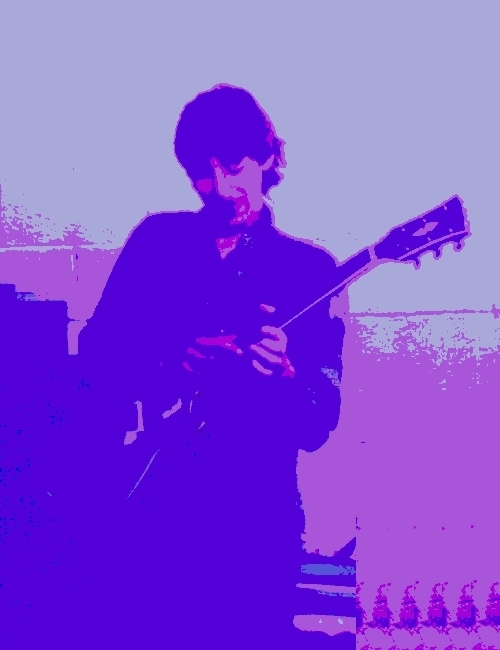 Tony Marinacci is a professional producer, songwriter and musician. Currently, he runs an entertainment company - Total Music & Entertainment, multimedia recording studio and BMI affiliated music publishing company. Based in Pittsburgh, Pennsylvania, he is from one of the most accomplished and respected entertainment families to come from the area. Though his experience covers nearly every aspect of the entertainment industry, he has gained the most recognition as an audio engineer for major concerts and a wide range of world-class productions. His services are highly sought after by many live entertainment companies. His extensive studio capabilities also have him in very high demand. He has also been interviewed in MIX and EQ magazines as well as Variety, Billboard and many times in the Pittsburgh media. From the very beginning, Tony has always been around world-class entertainers. His first real experience came when he joined his father who was a Lighting Director for Tony Orlando and Dawn. Also part of that crew was his father's cousin, John DeSantis, who was already one of the best Production Managers in the biz. Tony has always had excellent instruction and mighty big shoes to fill. Musically Tony learned piano while growing up in Pittsburgh. After his parents divorced he moved to California with his father. Growing up in the business as a 10-year-old kid in 1976, working on the road crew during summers and holidays. Being around professional musicians, he learned several other instruments, before finding his true love, and became an excellent guitarist. However, despite becoming a pretty good player, he realized that it would still be difficult to make a living being just a musician. Taking advantage of the professional entertainment environment around him, he was able to explore other production jobs. He gravitated towards sound and found that he was able to run mixing consoles. Soon, in 1982, he began helping doing sound for Tony Orlando. 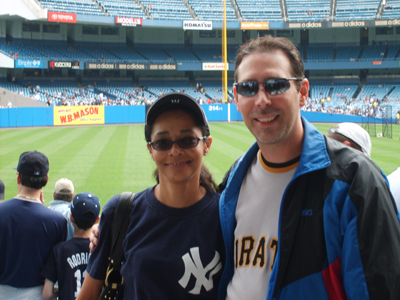 After moving back to Pittsburgh to graduate high school, Tony went right out on the road. He would soon earn a national reputation throughout the late 1980's and 1990's, as a great Audio Engineer while doing sound for many people, including larger Vegas acts, as well as stints with Bon Jovi and U2. This would also lead to mixing experiences in major recording studios including, The Record Plant and Electric Lady Land, among others, and was also the begining to him becoming a great producer. The constant traveling allowed him to be based anywhere, so, he settled back in Pittsburgh, where he had also started TME. Using all the experience and resources he gained doing other tasks on the road, he had turned TME into a growing company - specializing in live entertainment. Next, several local partnership involving major concerts in the area, made TME one of the most resourceful entertainment companies in the region throughout the 1990's. Doing sound however, did not fulfill his need to be creative. He had begun writing songs as a teenager, and in his early 20's, began to build his personal studio around an elaborate MIDI setup and a Fostex pro 8-track. A chance meeting in 1990 proved he was writing quality material, when it got him signed to write for a platinum-selling artists' album on Virgin. The project however, was unfortunately shelved. After it was clear that they were not going to move ahead with any more plans, his contract was bought out. Hooking up with some friends at Geffen, he worked on several unique projects, and other opportunities later lead to work on Nissan television commercials, and some experiences in motion pictures with Disney and Universal Films. Enjoying growing success in both live and studio production put tremendous demand on his time and it soon became clear that he would have to decide between the two. Having already been established in major concerts leaned the decision. However, faced with unsuccessful efforts with recording projects, coupled with his then song writing partner taking material and the project name and releasing it as his own, excluding Tony from any credits or royalties - pretty much made it clear that he should go with live entertainment. Concentrated too much in the concert business was almost fatal when starting in 1997, the entire industry began to decrease tours at a pace of 10-15% a year. TME was not able to evolve as the industry continued to shrink. Then in 1999 Tony suffered a series of personal illnesses. Now, physically hampered, in a demanding industry, made it all but certain it was time to change gears. As TME was on the brink of extinction, Tony was working his way back. 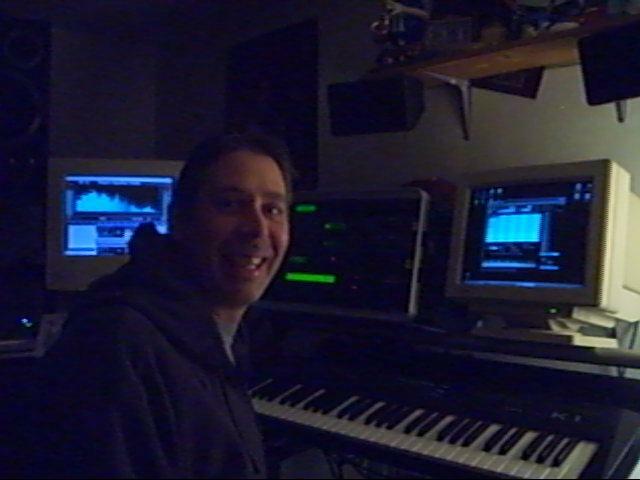 Fortunately he had his studio assets as his reputation as a great Audio Engineer had always put him in demand mixing in the studio, where he was also able to acquire software. As he began to assemble what had now become quite a substantial collection, he soon realized he had digital capabilities that were on par with major production facilities. By 2001 he was well enough to work steady in a less physically demanding environment. He also would begin to record various types of projects and work as a producer with local talent. However, lack of a permanent location prevented him from going beyond a project studio status. In 2005 things settled in one spot and Tony refocused the company's direction by dropping nearly a third of its services. As a result, TME has again regained its position as a premier provider of professional entertainment services. Also, having a more suitable place to record in opens more opportunities. Now venturing into new areas, again using Tony's overall industry experience, specifically in music publishing, TME has created a new line of services - which continually develop and adapt to the changing record industry for virtually unlimited possibilities in the future. It's ironic in how much TME was not involved in that side of the industry, that it has now become a significant business advantage, and is perhaps half the reason for what has made it an even stronger company than ever before. Needing to create, Tony is now back to writing songs and doing more recording. Completing his home studio has allowed him to build an extensive catalog, and has again gained the attention of several record companies and Artists. Currently he is working on many projects, and is producing some of the best music that he has done in years. Having had the fires re-ignited there may be no end in sight. BMI - Songwriter and Artist. Shakespear In The Park LA & Pgh. Dianne Carroll, Captain & Tennille, Rosemary Clooney, Sammy Davis Jr., John Davidson, Dorris Day, Aretha Franklin, Mitzi Gaynor, Robert Goulet, Shecky Greene, Buddy Hackett, Marvin Hamlisch, Thelma Hopkins, Ann Jillian, Frankie Laine, Legends In Concert, Ann Margret, Dean Martin, Steve Miller, Rita Moreno, Donald O'Conner, Juliet Prowse, Rush, Nipsey Russell, Frank Sinatra, The Smothers Brothers, Pam Tillis, Bobby Vinton, Crystal Watters, Joyce Vincent Wilson, Yes & Pia Zadora.